As community legal centres from around Australia converge on Melbourne for their national conference this week, the full impact of Federal Government cuts has been revealed by new figures showing the projected funding for Victorian centres through to 2019–20. In its Wednesday public hearing, the Royal Commission into Family Violence will hear that free legal help with family violence reaches more women when community legal centres partner with hospitals. The commission will hear evidence on Acting on the Warning Signs, a project in which Inner Melbourne Community Legal (IMCL) provides free legal help to women at the Royal Women’s Hospital. Victoria’s family violence legal system offers a ‘patchwork response’ that is sometimes dangerously threadbare through poorly funded legal help, inconsistent specialisation and insufficient risk management, the Royal Commission into Family Violence will hear this Wednesday (5 August) in evidence to be presented by the Federation of Community Legal Centres. A new National Partnership Agreement on Legal Assistance Services between state, territory and federal governments has been signed amid serious ongoing concerns over a failure to fully fund the justice gap, the impact of a significant national funding cut in 2017–18, and restrictions on advocacy campaigns by community legal centres on policy and law reform issues. A submission released today by the State peak for Victoria’s 50 community legal centres has made more than 60 recommendations to the Royal Commission into Family Violence. The media spotlight on the 2015 Federal Budget may have dimmed, but its full impacts on the vulnerable are still very much on the line for those seeking free legal help. A Federal Government proposal to means test free legal help from community legal centres will increase the risk for women facing family violence, according to the Federation of Community Legal Centres. The impact of deep Federal Budget cuts to free legal assistance will be increased by proposed new restrictions on who community legal centres can help under a new funding agreement, according to the Federation of Community Legal Centres, the State peak for 50 community legal centres in Victoria. 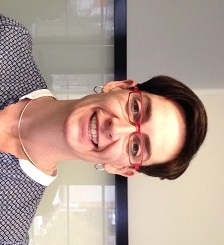 Despite the reversal of community legal centre cuts planned for Victoria in the next two years, the 2015 Federal Budget has failed to ensure that funding for legal assistance keeps pace with the growing need for free legal help among disadvantaged Victorians, according to State community legal peak, the Federation of Community Legal Centres. The State Budget has revealed that the cost of running Victoria’s pressured and crowded prison system is set to top $1 billion a year excluding construction costs, as the recidivism rate is predicted to climb to an alarming 45 per cent in 2015.